I signed up for Heavy Medals with RNR and earned this for competing in two qualifying races, Seattle and Vancouver (both half-marathons). The Motivator earned this and the Triple Crown for competing in three that qualified. 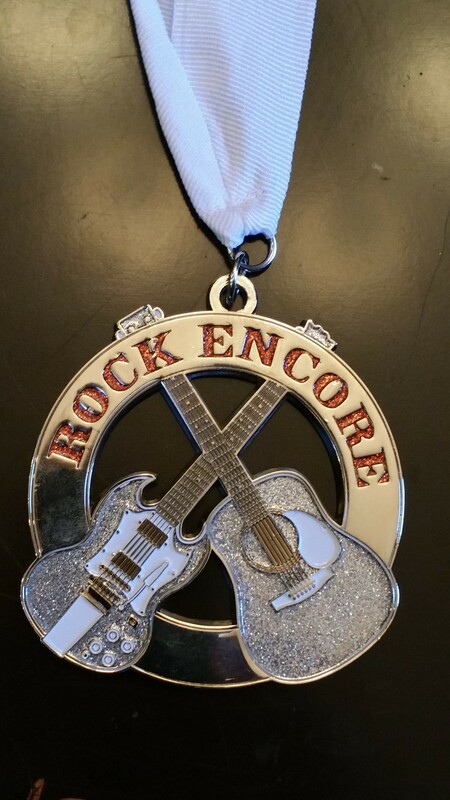 Well worth participating in all the Rock ‘n’ Roll series of races! One year, we will be dedicating our entire race schedule to the Rock ‘n’ Roll just to see how many Heavy Medals we can actually earn!